Since it’s July 4th this 3 day weekend, let’s talk about some things I must have for the weekend and likely the rest of summer. 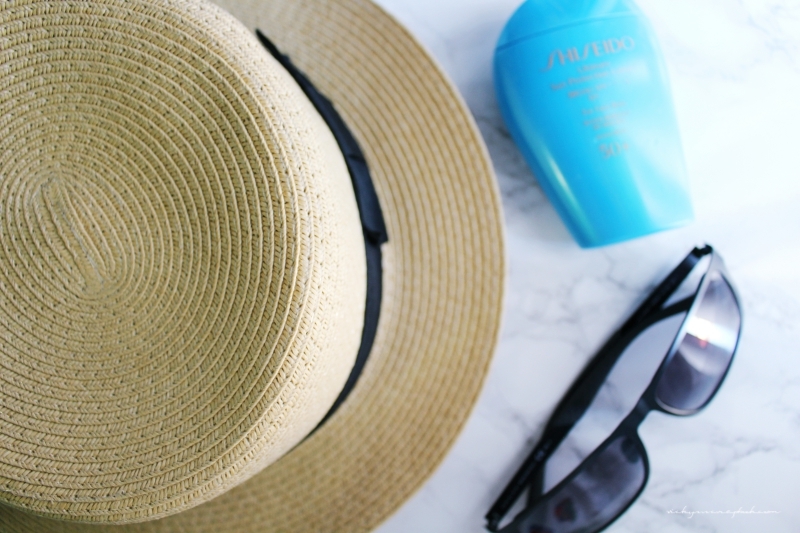 The typical things to use for times out in the sun is absolutely necessary and that includes: hats, sunscreen, and sunglasses of course. I would prefer straw hats since some are so large, it could cover the whole face. They also seem to be more airy than other hats. My favorite sunscreen of all times is the Shiseido Ultimate Sun Protection. I know that Cushion Foundation and a lot of makeup products have SPF but that doesn’t replace the sunscreen that I need to put on under. Shiseido is my favorite to put on before makeup because it feels very light and not sticky. Since it is a bit on the expensive side, I tend to only use it for my face and neck. I use Neutrogena Ultra Sheer Sunscreen for the rest of the body. Sunglasses is no question a definite must-have in the California sun. I need to have prescription on my sunglasses since I don’t typically wear contacts. So, I have a go-to pair of sunglasses, which is a pair of Gucci sunglasses. In addition to the 3 items above, I would always bring a thin cardigan with me. Driving is my main form of transportation so I like to use it to cover my arms when I drive (I know it’s very Asian mom status lol). I also like to use the sleeves to act as some form of glove since the steering wheels are usually too hot to steer. If I wear shorts, it also helps with burning chairs/benches. 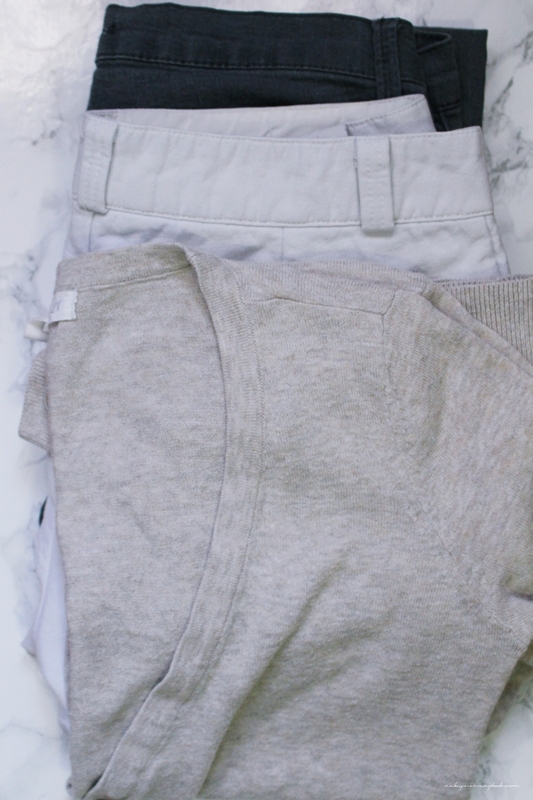 Shorts are always a must have in the summer. Although if I was going to be playing with fireworks this holiday or if I’m attending an event where I have to sit in the grass, I would prefer jeans. I’ve gotten burn by fireworks before so I would be a little more careful this time around. Typically after a whole day out in the sun, I like to do a mask at the end of the day to help my skin retain some moisture. 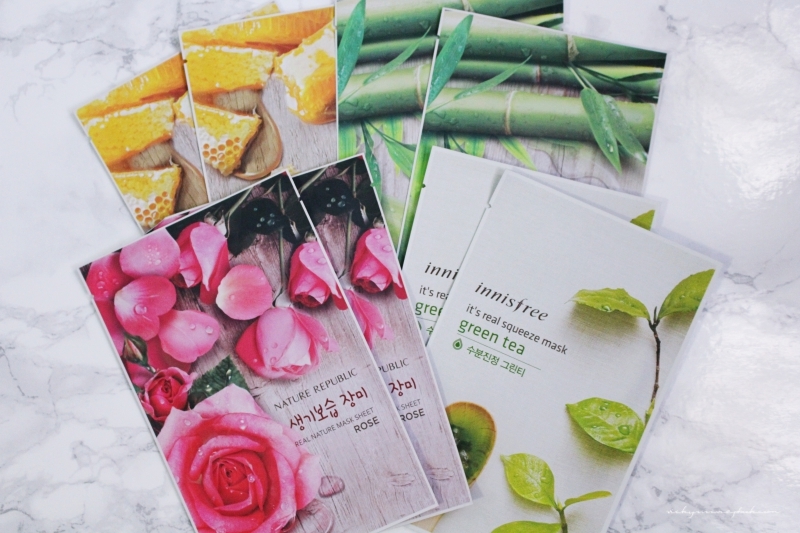 I’ve been really loving Innisfree and Nature Republic sheet mask so they’re a must have for me. 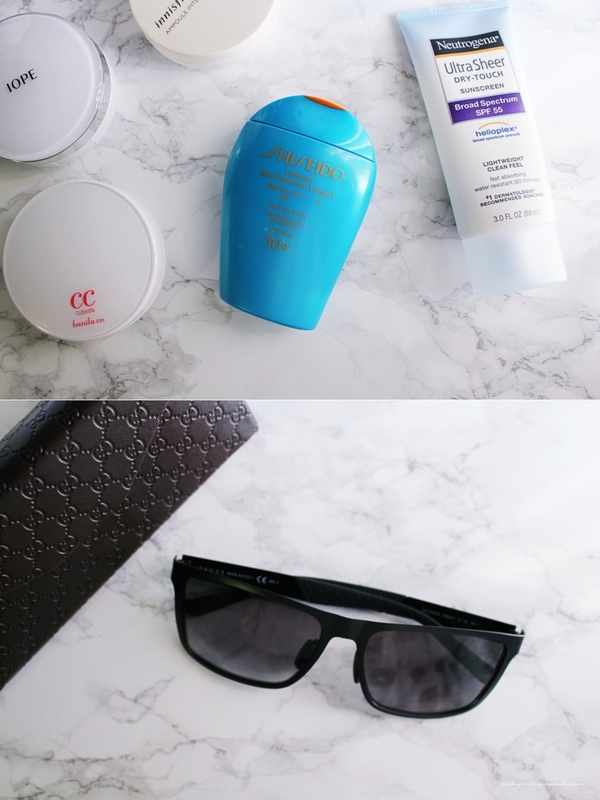 What are your must have for the summer? A good sunscreen is definitely a must have ! It certainly is. Thank you for stopping by! Loving all your 4th of July weekend essentials! great picks! and have a lovely weekend! Enjoy the sun and happy 4th July!! Hahaha “Asian-mom status” 😀 LOL it’s ok, I do it too! Hahaha oooh those masks look so pretty!